Every Saturday, the NCAA basketball world will be filled with great games to watch. Every Saturday, you can find 3 - 5 underrated games that you should keep an eye on for some great entertainment, in a weekly feature called "Sleeper Saturday". The NCAA basketball season is entering its second day, and we had a ton of excitement throughout the opening day. Eastern Washington made a statement with a big win over Texas Southern in the season opener. Kentucky and Duke easily won their season openers, and their stellar freshmen looked good in their first regular season action. Entering the second day, and there aren't as many games to look. However, there are several games that are worth looking. Every Saturday, you can find 3 - 5 underrated games that are worth keeping an eye on. These will be featured in a weekly article entitled "Sleeper Saturday". Since it's only the first weekend, the first edition will be kept short. Below are three games that should keep basketball fans entertained all throughout your day on Saturday, as fans make the transition to college basketball from college basketball. While this doesn't seem like it's a game that one should look on a Saturday because LSU is a power team playing a weaker opponent, it'll be worth your time. People may shy away from this game for the reason that LSU is a heavy favourite. However, one should look this game strictly to see how LSU plays in their opener. After a strong season in 2013-14 in which they finished 20 - 14 overall, the Tigers are expected to be a strong contender in the SEC this season. Obviously Kentucky and Florida are the top dogs in the conference, LSU has a realistic shot at pulling off some upsets in the conference. 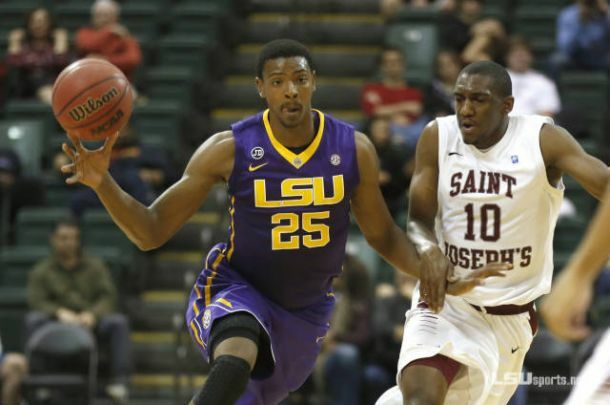 With Jordan Mickey, Jarell Martin, and Keith Hornsby back for the Tigers, LSU is ready to take the next stride towards the top of the standings in the always tough SEC. Look this game strictly for LSU, as they should win easily in their season opener. Last season, the Cal Poly Mustangs surprised everyone, and probably themselves a little bit, when they made a run through the Big West conference tournament and advanced to the NCAA Tournament. They upended the top two teams in the conference in the tournament, UC Santa Barbara in the quarter-finals and UC Irvine in the semi-finals, before advancing out of the play-in game and into the 2nd Round of the NCAA Tournament. The Mustangs return key pieces from last year's team, and are expected to improve in the standings from last year, in which they finished 6 - 10 in the Big West and in 7th place. Nevada always seems to be a tough team to face, regardless of the calibre they have on their roster. On their home floor, this game will be especially tough for the Mustangs. The Wolfpack are a slim favourite entering the game, so expect this one to be close right down to the end. The Broncos opened their season with a 6-point win on the road at San Diego, which was a game that they were a brief underdog in before it started. Behind 21 points from Anthony Drmic, the Broncos held off the Toreros, who got a game-high 25-points from Johnny Dee. It will be interesting to see how well Boise State performs in their second game in two days to open the 2014-15 season, and on the road no less. Loyola Marymount will be in the same boat as the Broncos, and both teams will need to elevate the pace of the game in order to tire the other out. This will be an interesting game to keep an eye on, to see how well both teams perform in their second game in two days to open the season.